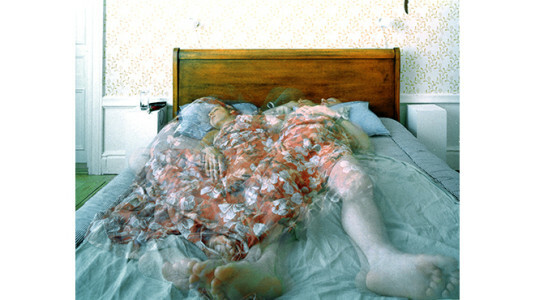 “I suppose it is out of laziness that the world is the same day after day. Today it seemed to want to change. Consider our Ideasmyth events newsletter as the ultimate antidote to save you from succumbing to day-to-day sameness and laziness! Every week, we curate a list of what we think are destined to be the most fascinating things to do, and this week we’re all about experimenting and exploring new spaces–both inside and outside the self–with hip meditation experiences, open-studios and a fab foodie happy hour on the best new rooftop venue on the Lower East Side! Find the beauty in heartbreak here! Channel your inner Gaines here! 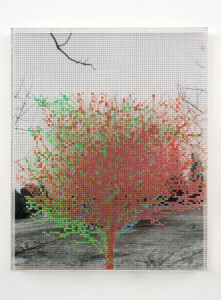 Gridwork is the first-ever museum survey of the renowned LA-based conceptual artist, Charles Gaines’s early career. And if you’re interested in more deeply exploring Gaines’s fascinating investigations into aesthetics, politics, cognition and language, you can participate in this workshop to “visualize sounds and translate musical expression into a layered, collaborative art project” conducted to music curated by the artist himself. Find ways to become enlightened here! 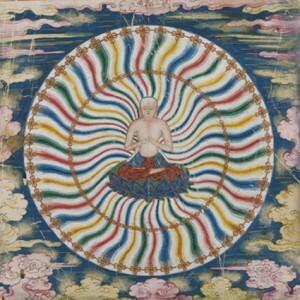 Just last week, The Rubin Museum of Art in Chelsea–the cultural home of the Himalayas in the US–launched a remarkable exhibition featuring 54 paintings from the 18th century that provide a “step-by-step guidance to visualization of the Buddha Sarvavid Vairochana and offer unique insight into the meditation and rituals of Tibetan Buddhism” previously only known to be passed down via religious oral traditions. 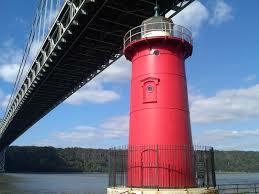 Visit Manhattan’s only lighthouse here! Manhattan’s Little Red Lighthouse, located on the Hudson River, became famous in 1942 with the publication of the popular children’s book The Little Red Lighthouse and the Great Gray Bridge. The 22nd annual Little Red Lighthouse Festival–complete with fishing classes, marching band music and more family-filled fun. Find out how to spend a hip afternoon here! 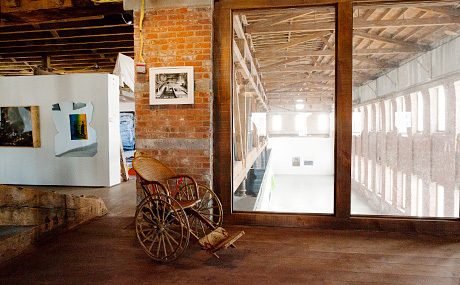 Pioneer Works in Brooklyn hosts events like “experimental film screenings, large-scale art installations, live Ethiopian jazz and courtyard stargazing (to pick just a few highlights),” is closing up its all-access, all-entertainment open-studio evenings for the season. This Sunday, versatile musician and arts enthusiast Olivier Conan brings you yet another opportunity to get knee-deep in New York’s thriving innovative arts scene with appearances by Dutch-design lab Intervention, music by quirky folk band Cuddle Magic, and a sufi-inspired Qawwali performance. Be apart of tradition here! 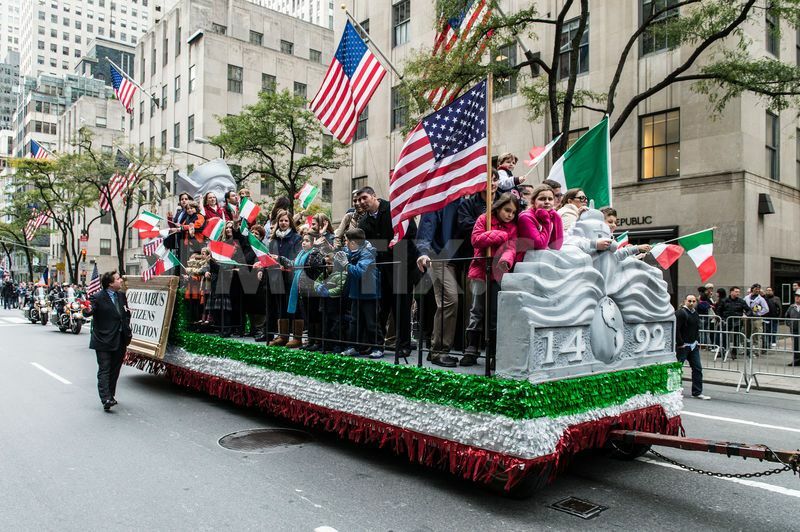 NYC’s Annual Columbus Day Parade, is the world’s largest celebration of Italian-American culture: top high school bands, virtuosi professional groups from the United States and Italy, and traditional centuries-old dancing. Add some classical to your day here! Grace Church in the West Village hosts a seasonal series of pop-up meditation sessions from Tuesdays to Fridays, set to renditions of some of Bach’s most powerful classical compositions. 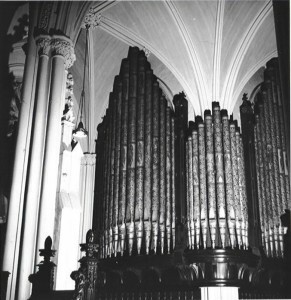 The musical therapy is conducted by Organist and Master of Choristers, Patrick Allen, who was awarded a Doctorate in the Musical Arts and has toured churches all across the States. On the occasion of the paperback release of FROM SCRATCH: THE UNCENSORED HISTORY OF THE FOOD NETWORK, Allen Salkin will be speaking with acclaimed author and TV personality (featured in Salkin’s book), David Rosengarten on the relaunch of his beloved Rosengarten Report, sharing stories from the hottest kitchens–to hottest TV studios. Their dialogue will be moderated by Ideasmyth’s Creatrix-in-Chief Victoria C. Rowan, who will pepper these two for more insider info than could fit into the book–and there are sure to be surprise tasty bits not listed on the menu. Posted in Activity Ideas, Exhibit Ideas, Food Ideas, Good Ideas, Inspiration, Performance Ideas.